I have the sad responsibility to inform you that our beloved board member, Dr. Peter Haikalis, fell asleep in the Lord suddenly on March 20, 2017. He and Susan were out shopping. Susan went into the pharmacy to pick up an item and returned to the car, and Peter was experiencing a heart attack. With state of the art, immediate emergency care, he could not be revived. The sudden death of Peter is a shock for his family and friends, his Orthodox Christian Laity (OCL) extended family and his parish community of Ascension Cathedral, Oakland, CA. But I know that the Lord called him home in a way that Peter wanted. His earthly pain, sorrow and suffering was sudden and quick. His family and friends are coming to grips with his death; we realize that this beloved life force – Peter, is at peace in the Lord. May his memory be eternal, and may Susan, Ioanna, George, Cecilia, William and his brothers George and Chris, and the rest of us, live long and healthy lives to remember him. There is so much to remember. Peter and Susan lived a wonderful life together – 50 years this coming May. They were both educated in the best schools. Peter had a Ph.D. in Russian History which he taught at the university level and later completed a Master’s in Library Science. The latter part of his career was spent at San Francisco State University, where he was part of the information technology transformation as a librarian. In the Armed Services of the USA, he worked with encrypted information, which is a specialized skill. He was a Fulbright Scholar and helped establish library science in Northern Greece. He was a board member for many years at the American College of Thessaloniki. He was a true intellectual who valued education. He was a prolific reader. He was an amazing storyteller, conversationalist, recontour. I so enjoyed talking and listening to Peter. He could elevate ordinary gossip into an art form. We shared so many stories and laughs. His interests were wide-ranged. He could talk on any subject. I have so many positive and pleasant memories of Peter and Susan. Just this past September, I was a guest at their Kauai, Hawaii time share, and we had such a wonderful time. As a side trip, Peter and I spent early morning until late evening in Honolulu. We did three days of touring within a 12-hour period, and he kept up with me. He was my guide and navigator. I treasure this memory. Peter and Susan were world travelers. He was planning trips for this year that were amazing. They have been everywhere. He enjoyed cooking, eating, good wine and bourbon. He lived life to the fullest. He was generous to many good causes and was a change agent. Peter and Susan personify philoxenia/hospitality. They made strangers guests and welcomed. They were active together in parent teaching, civic and social causes, Church life and devoted members of Orthodox Christian Laity. Both Peter and Susan are former Presidents. Peter’s tenure was 2002-2004. These were turbulent times in the life of the Greek Orthodox Archdiocese, and Peter guided and stayed true to the OCL advocacy mission of transparency and accountability. Peter sat on numerous boards, many related to Greek American cultural and religious interests. He served the Greek Orthodox Church as a choir member for over 40 years. He loved many different varieties of music . They were members of the San Francisco Philharmonic Community for many years. He served the Church as a board member of his parish and on diocesan levels. He was a member of the Athenagoras Institute at Berkley University. He organized Greek Film Festivals in the San Francisco area. He will be remembered as a fundraiser in his parish community of Ascension. His life is a story of living well and enjoying life, because it is a blessing from our Lord. He was a devoted family man. He and Susan were a team, and he loved Ioanna, George, Cecilia, William and his brothers. All of us who knew him were enriched by his zest for life. May his memory be eternal! Good-bye, good friend. Asleep in the Loving Care of The Lord! 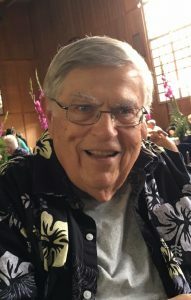 Peter Dennis Haikalis, PhD, long time resident of Berkeley and of Walnut Creek California, died on March 20, 2017 at the age of 82. Born in Decatur, Illinois, July 23, 1934 the son of Dennis and Jennie Geanetos Haikalis. Beloved husband for nearly 50 years of Susan Williams Haikalis. Dear father of Joanna (George) Graham of Berkeley and loving grandfather of Cecilia and William. Also survived by brothers George and Chris, and brother and sister-in-law Richard and Mary Ellen Williams, nephews, grandnephews, grandnieces and a host of friends. Dr. Haikalis, (BA, Washington University, St. Louis; MLS, UCLA; PhD, University of Pennsylvania), was a retired professor, librarian, and university administrator (University of California, Riverside, Princeton University and San Francisco State University); Fulbright Scholar, founding member and first President of the Berkeley Public Education Foundation; past president of the Hellenic American Professional Society and recipient of its Axion Award; past president of the Cathedral of the Ascension in Oakland; long time member of the Board of Trustees of Anatolia College in Thessaloniki, Greece where he was instrumental in designing the new campus library; and member of the Board of Trustees of the Patriarch Athenagoras Orthodox Institute (GTU) in Berkeley, Haikalis also served as national president of The Orthodox Christian Laity – an organization dedicated to spiritual renewal, transparency and accountability in church governance and the unity of all Orthodox jurisdictions in America. 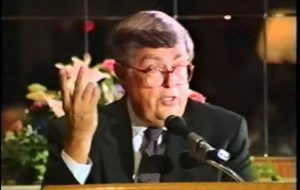 He authored several books and articles and was the recipient of numerous honors and awards. For many years Dr. Haikalis also served as President of the Modern Greek Studies Foundation. During his tenure as president, he and his wife Susan organized a number of fund raising events for the benefit of the Center for Modern Greek Studies at San Francisco State University including a series of gourmet dinners featuring regional foods of Greece; art shows featuring the works of local Greek American artists and the 3 Muses concerts. He was also instrumental in establishing the Bay Area Greek American Archives and Oral History project at the Center. In his capacity as a faculty member at SFSU, Dr. Haikalis worked closely with the university administration to ensure the success of the Center’s academic programs and activities. Peter’s commitments were to his family, his church, academic endeavors and to public service. He had a great exuberance for life and was a world traveler, a bon vivant, gourmet cook and raconteur. He also loved music and sang in Greek Orthodox Church Choirs for more than 60 years. Trisagion service to be held at 6:00 p.m. on Sunday, March 26, 2017 at the Greek Orthodox Cathedral of the Ascension, 4700 Lincoln Avenue, Oakland. Funeral services at 10:30 am on Monday, March 27, 2017 at the Ascension Cathedral followed by a Makaria luncheon and Celebration of his life at the Cathedral. Interment at Oakmont Cemetery in Lafayette. In lieu of flowers memorials may be made to the Orthodox Christian Laity, P.O. Box 6954, West Palm Beach, FL 22405-6954 or to the Ascension Cathedral Building Fund, 4700 Lincoln Ave, Oakland, CA 94602. Funeral arrangements by Harry W. Greer, Funeral Director (FDR-745). Click here to view the online memorial published in the East Bay Times on March 25, 2017. Post your tribute here at Lasting Memories. How blessed we were to be with Peter H and Susan in San Diego at the OCL meeting. They made a memorable mark on Howard with their humor, liveliness, knowledge, and faithfulness. Peter was another impressive leader that illumined the need for Orthodox unity, and transparency in all church activities. Susan, thank you for being a dedicated wife and also a leadership figure. You remain a great example for me as devoted partner and faithful Orthodox Christian. It is so difficult to say good bye to all these great people we have lost. They will always be remembered for laying the groundwork for us and encouraging us all to be strong in our faith and to do the right thing. Memory eternal to Peter and all our blessed members of OCL now in the Lord’s dominion.